"A power beyond measure requires a protector without equal." Bullet Proof Monk is a comedy action, martial arts film made in 2003 starring Chow Yun Fat, Shaun William Scott and Jaime King. The film was directed by Paul Hunter and written by Ethan Reiff and Cyrus Voris. Many years in the past in Tibet a monk is entrusted by his master with a scroll which contains terrible knowledge. If read the scroll has the potential to make the reader the most powerful of beings upon the planet. The monk (Chow Yun Fat) accepts the scroll with dignity and pride. The scroll gives the monk the ability to retain his youth and protect him from almost any injury. However, a rogue brigade of German soldiers invade the shrine and kill the nameless scroll bearing monk's master and all the other monks, seeking out the scroll. The monk escapes and the film jumps forward many years, cutting to a film theater worker named Carr who also moonlights as a pickpocket. In a chance encounter, Carr steals the monk's scroll and they become temporary adversaries. A friendship blossoms and the monk begins to teach Carr thinking that he may possibly be the heir to carry on protecting the scroll from his master's murders whom chase him still. 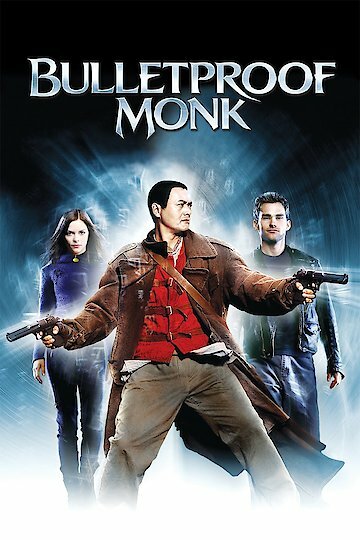 Bulletproof Monk is currently available to watch free on Tubi TV, The Roku Channel, Pluto TV, Vudu Free, YouTube and stream, download, buy on demand at Amazon Prime, Amazon, Vudu, Google Play, FandangoNow, iTunes, YouTube VOD online.